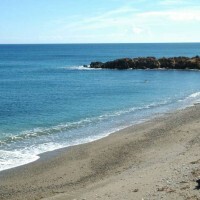 The long beach of Xifia is protected from northerly and meltemi winds. The salt trees along the shore provide shade; there is plenty of room on the sand for games such as beach volley or for taking leisurely strolls. Some parts of the shore are covered with small pebbles. 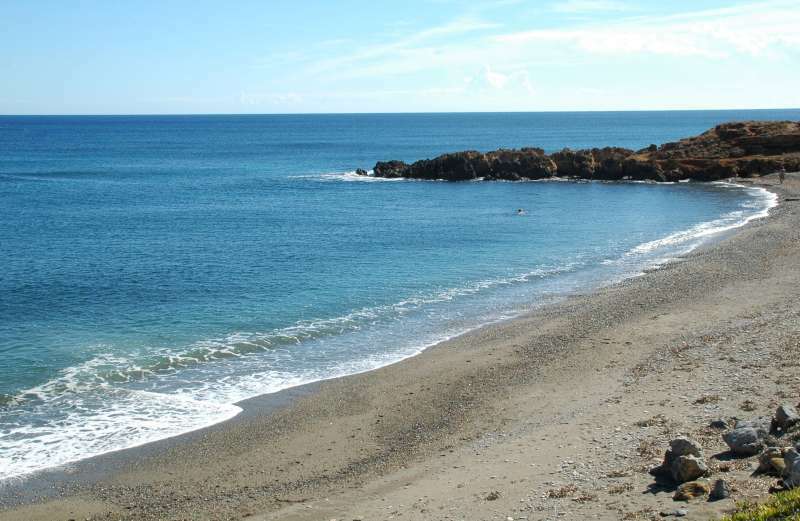 At the northern end of the beach is the sunken city of Xifoupolis. 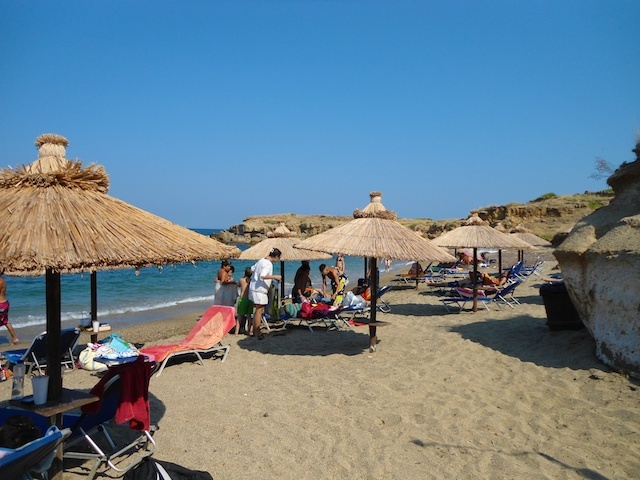 On one part of the beach umbrellas and sunbeds are available, along with a mobile canteen. At the other end of the beach is a lovely little taverna which also serves coffee. Around the district of Xifias there are several small tavernas, modern hotels and rooms for rent.